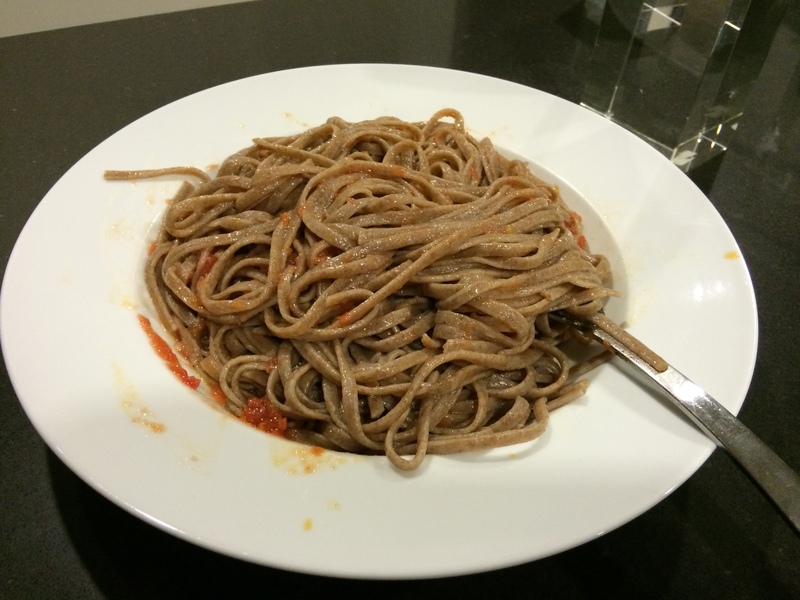 I bought some fresh whole wheat linguini from Assenti’s this week, and I ate about 300g of it last night. I made some fresh pomodoro sauce from some nice, ripe roma tomatoes, basil and olive oil. So picture two full plates of this stuff, a scone from the corner cafe, a piece of bread, and 50g of almonds, and that’s what I had after 8pm last night.